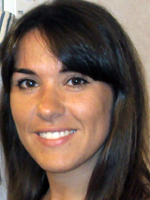 Violetta Cordani received her PhD in Hittitology in 2010 (University of Trieste, Italy). In 2011 she spent five months at the Ludwig-Maximilians University of Munich with a DAAD fellowship. Her research interests include problems of relative and absolute chronology, cultural contacts between the Hittites and the Egyptians in the Late Bronze Age, and aspects of the development of Hittite historiography. Within Topoi ((A-5) Iron as a raw material), she investigates the role played by iron among the Hittites, focusing on the cultural, economic, and technical aspects of the iron industry between 13th and 12th century B.C.